We have seen how Method Hiding & Method Overriding works. It is time know the main difference between them. This will give you the idea when and where to use them. Method Hiding: In method hiding, if both derived class and base class has a same method name with same signature, then we make use of new keyword to hide the base class method. But if we create a base class reference variable pointing to the derived class object, then base class method will be called. Method Overriding: In method overriding, if both derived class and base class has a same method name with same signature, then we mark base class method as virtual using virtual keyword, so that it can be overridden by all the derived classes. In this case, if we create a base class reference variable pointing to the derived class object, then derived class method will be called. 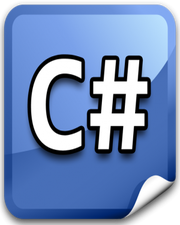 What is Method Overriding & Polymorphism in C#? Method Hiding in C# with Example What is Inheritance in C#? C# Method With Custom Return Type Example What is a Class in C#?